There are some big design ideas to steal from the shelf wall. 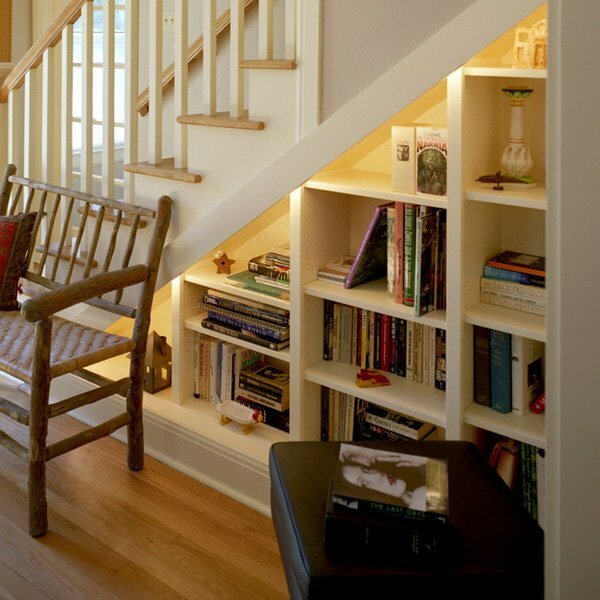 If your place is particularly tiny, hang only the high shelves - leaving space for a sofa or table underneath. Make best use of every inch of space with shelving alcoves/drawers cut into the wall. Have you imagined staircase leading down to the basement extension? Hanging fabric panels, or using curtains on the front of your wardrobe instead of doors to save more on space. With a curtain, you can conceal the mess or leave your bedroom looking spacious. Mirrors are a decorator's best friend, and a well-placed mirror would make the most of a room's natural light, enhances views and opens a small space.